Do we Need to put Keyword as First Word in Domain? Should we Put Keywords as a First Word in Domains? This seems to be a weird Question, like how does it Matter? But believe Me, it can Boost your Rankings. There are some debates, whether Keyword as a First Word in a Domain is a Ranking Factor or not? We agree with this Opinion as this Ranking Factor is not mentioned anywhere, and no Biggies(SEJ, SEL, Moz) have given an Indication of it in any of their blogs. But does that mean, that we should Totally Ignore it? Probably No, because there are around 100’s of Ranking Factors, and none of them are Validated by Google. Some are Myths & some of them do Work to Boost Rankings. So, the solution here is we should consider this as a Ranking Factor and Implement them if Possible. Now, in this Post, We don’t have any Official Statement by Google. But have a question to ask? Do you believe that position matters in this World? Your answer would be ‘Of course’, position matters for everything, from Rags to Riches it is Important for everyone. Think about the Positions Of your Keyword in the Domain. If they are placed ahead of anything it can boost your Rankings. It can also be placed anywhere else, OR you can also opt out of using a Keyword in the Domain. But nevertheless it is not a Bad Idea, to put them ahead in your Domain, these Small Factors can Boost our Rankings & can give us an edge over our Competitor. This Ranking Factor is a not a Major one, but we should not Ignore it. It is not a Malpractice nor it is mentioned anywhere that it will hurt your Ranking. So, Chill & Implement wherever it’s Possible for your Business. 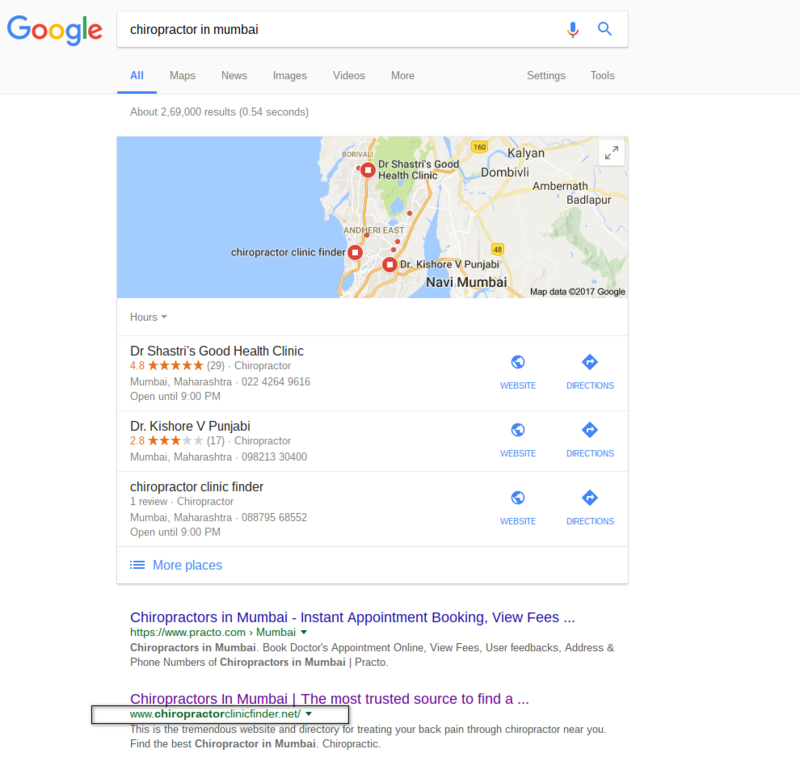 Having the Keyword Chiropractor as the first word in Domain is giving the above website a Boost in the Ranking. 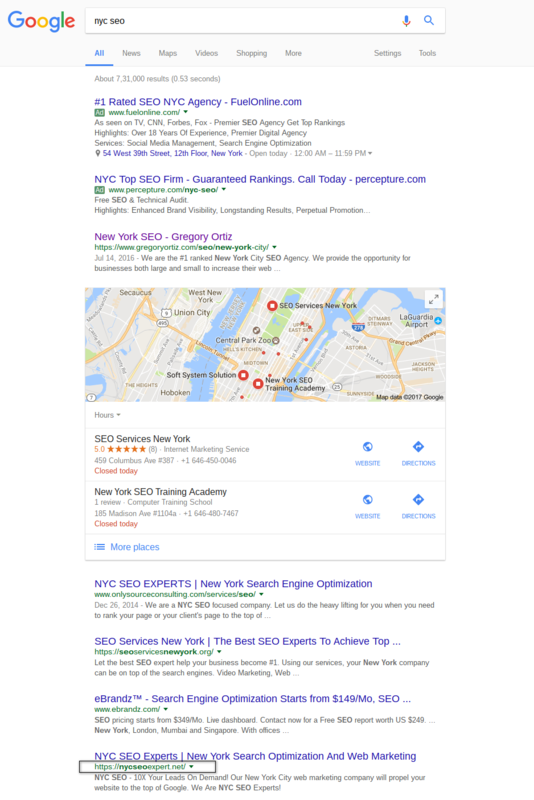 The above website also has the Keyword “NYC seo” as the first word in their domain. In the recent Algorithm update, Google has stopped giving any weightage to the Keywords in the Domain. That means whether you have Exact Match Domain(EMD) or a Partial Match Domain(PMD), any keyword in the domain will not make an impact on your Rankings OR give you and edge. This is the same keyword for which Google used to give importance to Keywords in the domain(as shown in the earlier examples). This means that now this has become a history & we should focus more on writing great Titles & focus on CTR. The best part about SEO is it’s unpredictable & the tables can change at any time. Let us know your thoughts about this update in the comment section below. Previous PostPrevious Is Domain Age – An SEO Factor? 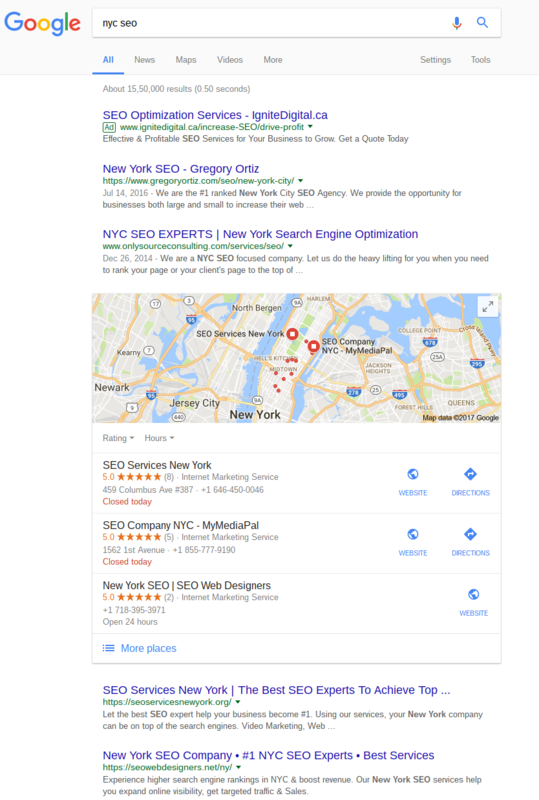 Next PostNext Do Exact Match Domains Still Work in SEO?